The African Center for Energy Policy (ACEP) has accused government of overburdening Ghanaians by imposing many taxes on petroleum products. According to Mohammed Amin Adam, Executive Director of ACEP, the imposition of the 17.5 percent Special Petroleum Tax (SPT) on some selected petroleum products amounts to double taxation. Speaking to the media yesterday in Accra, Mr Adam estimated that based on volumes of petroleum consumption (petrol, diesel and LPG) in 2015, the new levies would generate an incremental revenue of GH¢3.2 billion annually. He added that instead of paying ex-pump prices based on the levies and taxes like the TOR Debt Recovery Levy,Power Generation and Infrastructure Support Levy, among others, consumers were made to pay ex-pump prices based on the levies and taxes in addition to the SPT, which was already contained in the ex-pump price. “We estimate that the double taxation alone would cost the consumer GH¢675 million annually on petrol, diesel and LPG,” he noted. Special Petroleum Tax (SPT), which was introduced on selected petroleum products in 2014, generated GH¢183,438,611.54 in its first year and GH¢748,545,275.65 in the first half of 2015. The ACEP boss urged government to revise the trend to bring relief to Ghanaians. 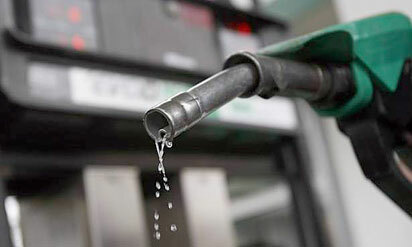 ACEP said there had been different versions of relative impact of the levies on the ex-pump price of petroleum products. It continued that its analysis on the contrary showed that the effects of the levies on ex-pump prices were much greater and punitive. “We estimate that the levies had led to an increase in the ex-pump price of petrol per litre by 33 percent, 40 percent on diesel per litre and 22 per litre on LPG per kilogram. “Also with the current levies, the tax component in proportion to the ex-pump prices of petrol and diesel are 41 percent and 42 percent respectively. The IMF shows that average tax share in ex-pump prices of petrol and diesel in developing countries ranges between 22 percent and 30 percent. Therefore, the share of taxes in the petroleum prices in Ghana is one of the highest in the developing world. ACEP said it still maintained that consumers had overpaid the TOR debt, indicating that at the time the levy was instituted, the total debt stood at GH¢450 million. By 2009, it said the total debt had grown to GH¢900 million due to non-application of the revenues to service the debt, as well as interest accumulation. “Our analysis shows that between 2009 and 2015, total collection from the levy is in excess of GH¢1.9 billion. This effectively amortizes the debt assuming an interest rate of 10 percent. It mentioned: “The levy imposed on petrol is GH¢0.12 per liter, diesel is GH¢ 0.10 per liter and LPG is GH¢10 per kilogram. These levies translate into an increase in ex-pump price by 5 percent for petrol, 4 percent for diesel and 4 percent for LPG. The levy to be collected is much more than required to stabilize prices and subsidize premix and residue fuel oil in this price era,” he noted. However, Mr Amin commended government for abolishing the exploration levy, which ACEP had been campaigning against for the past two years.